Two Brothers. One Passion. Smooth Ride. Smooth Ride’s story begins long before 2016 when we first opened our doors for business. For years, brothers Joel and Stephen have been cycling around the world. From Phuket to Paris, this duo has explored different cultures and landscapes from behind the common comfort of their handlebars. 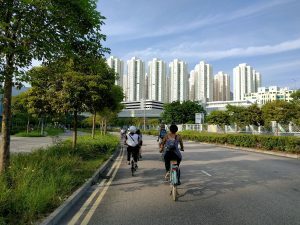 Growing up on an outlying island in Hong Kong without cars, the two brothers rode bikes almost before they could even walk. 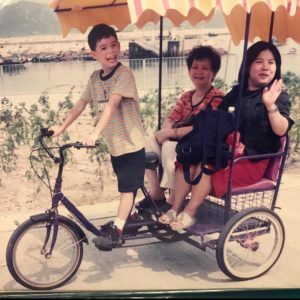 Their humble beginnings helped them to appreciate two core pillars that make Smooth Ride what it is today: Bicycling and a love for Asia’s World City (HK). As time passed, they continued to ride their bikes and when they were old enough to travel they took full advantage of seeing what the rest of their country had to offer. 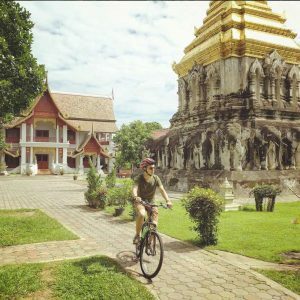 Traveling throughout most of Asia and Europe they would schedule bike tours at every place visit to fully absorb the local history and street culture. 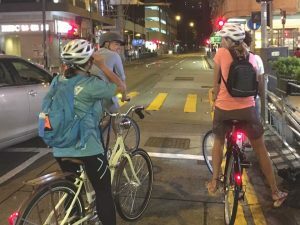 Eventually, while riding through Hong Kong’s countryside they began discussing their dreams of being able to provide that feeling of exploring and awe to others. Thus, Smooth Ride was born. Raised in the outskirts of Hong Kong on the picturesque Island of Cheung Chau. Joel was cycling almost before he could walk! He's traded in the harnesses & paddles of the outdoor education industry to the gears & chains of cycle tour guiding since founding Smooth Ride Cycles. 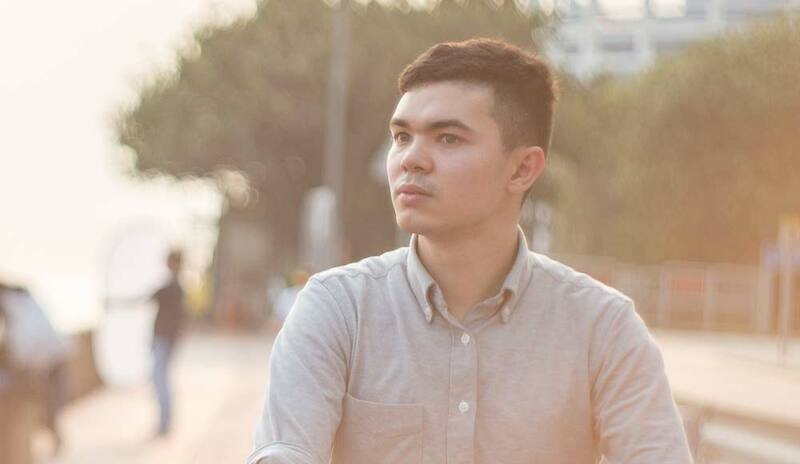 Being Chinese British ethnically as well as multi-lingual, Joel is able to offer you a unique cross-cultural perspective into the history & culture of Hong Kong. 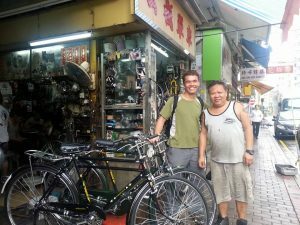 Joel's passion for exploring the world on 2 wheels has taken him through much of Asia & Europe with regular personal cycling trips within China. If you happen to have Joel as your guide be sure to ask him about his exciting adventures cycling through China! 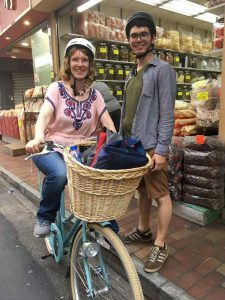 Raised on the car-free Island of Cheung Chau, cycling has always been a means of transport for Stephen. His passion for Hong Kong's culture was well ingrained from a young age having attended the Cheung Chau Fisherfolk's school where he was able to learn much about the culture of Hong Kong's traditional fisherfolk. In early 2016 he teamed up with Joel to form Smooth Ride with the idea of merging culture tours and cycling in mind. 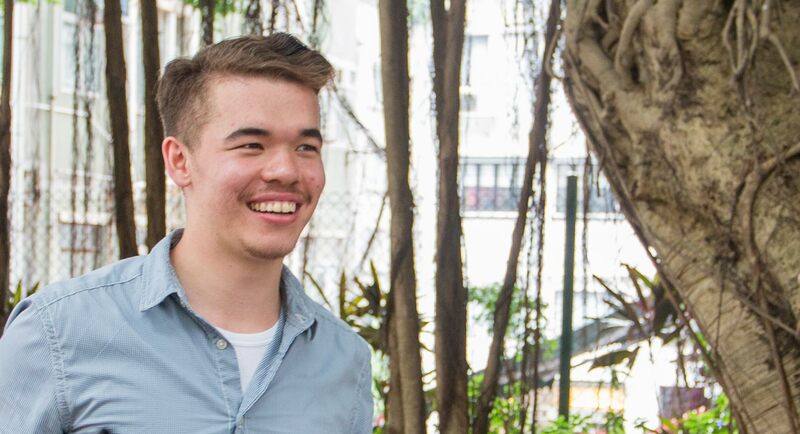 Stephen's in depth-knowledge of Hong Kong's history has aided him in leading not only cycle tours but also walking tours for multiple providers throughout the territory. A bit of a "jack of all trades", as well as guiding cycle & walking tours he can also be found shooting wedding photography, recording celebrity interviews, video editing and much more. Smooth Ride cycling tours excites and empowers visitors and locals to travel by bicycle. As our business dreams became a reality and we started considering what type of bicycles to purchase for our fleet, we debated on a single goal for our company. We strive to meet this goal in every aspect of our business. 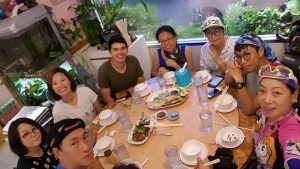 Our goal remains the same, whether we are digging deeper into our knowledge and history of Hong Kong or researching different routes to take in order to make the ride more engaging to those taking the tour. Smooth Ride provides entertaining and unique opportunities for you to completely embrace the culture and history of Hong Kong. We keep our tour sizes small so that we can give each of our guests unparalleled personal attention. From the time you make your reservation to the day of your tour, you’ll be taken care of. We will answer all your questions and concerns to make sure you are confident and well prepared for your tour. Our fleet of bicycles and our tours are top-quality. We’ve remained committed to our mission of providing a fun and knowledgeable biking experience for you and your family. You simply cannot beat our regional expertise and our promise to give you a fun, active, safe, and scenic experience. 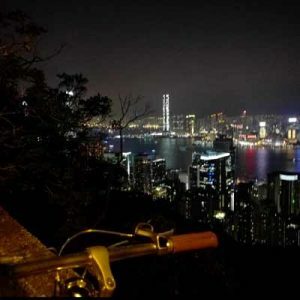 Whether you’re a longtime local or temporarily visiting the Hong Kong area we are sure to have the bicycle tour for you. Our guides have extensive regional expertise and are multi-lingual so you can feel comfortable and safe while having a good time. Book your bicycle tour reservation today easily through our website or message us if you have questions concerning our tours or if you’re looking for a customized private tour. We are committed to providing you with a bicycle tour you’ll remember for years to come, so what are you waiting for? Book your tour today! 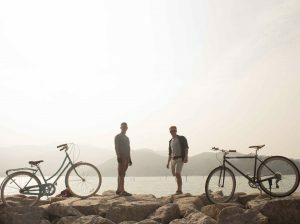 The brothers, Stephen & Joel grew up in the outskirts of Hong Kong on the picturesque Island of Cheung Chau. To maintain the tranquility of the Island all vehicular traffic was banned making cycling the go-to method of transport. Back in our hometown of Hong Kong we'd often cycle around the city & countryside personally. 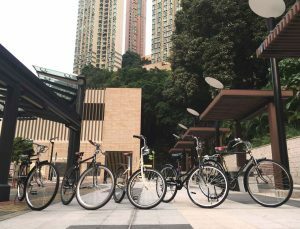 However, we wanted to re-create that feeling of exploring the city & countryside from the saddle for guests back here in Asia's World City (HK). 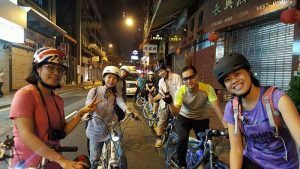 Smooth Ride began by offering tours with commentary to locals focusing on specific subjects related to Hong Kong's history & development. Smooth Ride is about exploring the city at a leisurely pace. As such we went out hunting for stylish bikes for a more relaxed cycle...no road bikes and spandex here! 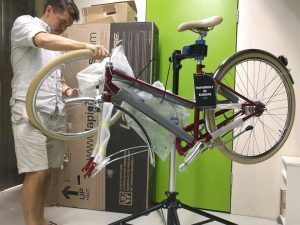 This saw bikes being purchased from countries including the UK, Netherlands, Germany & China all of which were assemble by hand back here in Hong Kong. After hours of laboring, fixing all the bikes together we expanded our operations to include bike hire as part of the tours with our humble fleet of 5. Through our tours with locals Smooth Ride began to gain interest amongst many locals due to our coverage in major media outlets namely: HK01, ChinaDaily, SportsSoho to mention a few. After offering many tours to locals we thought to ourselves "If I were visiting Hong Kong I'd want to join to" thus Smooth Ride expanded operations to cater to tourists as well as locals partnering with major outlets including: Tripadvisor, Viator, Tours4fun and many more. As we look forward into the future there are still many major developments in the pipeline here at Smooth Ride. In fact we are currently expanding our route options to cater to guests from a wider range of cycling abilities. We look forward to enjoyable cycling in the years to come!